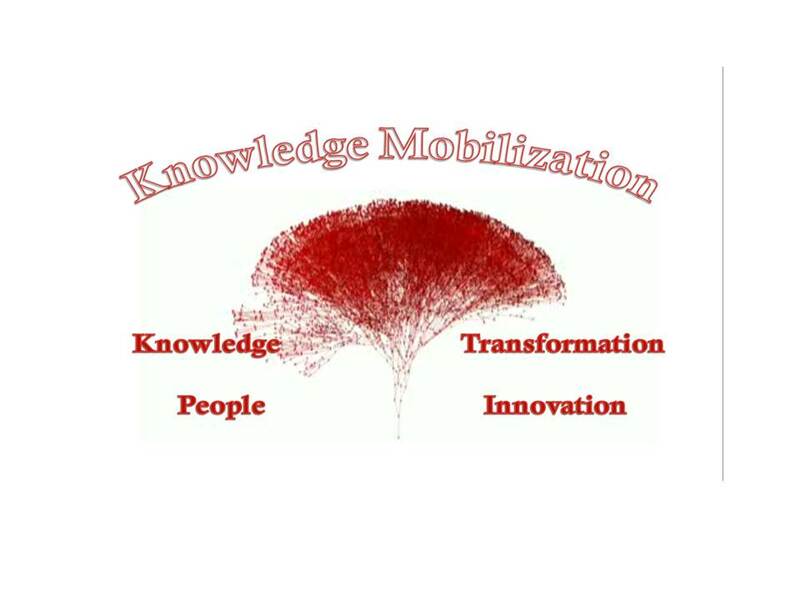 So What the Heck is Knowledge Mobilization and Why Should I Care? This week’s guest post comes from Community First: Impacts of Community Engagement (CFICE). This post first appeared on the CFICE Connections blog on November 24, 2014 and is reposted here with permission. 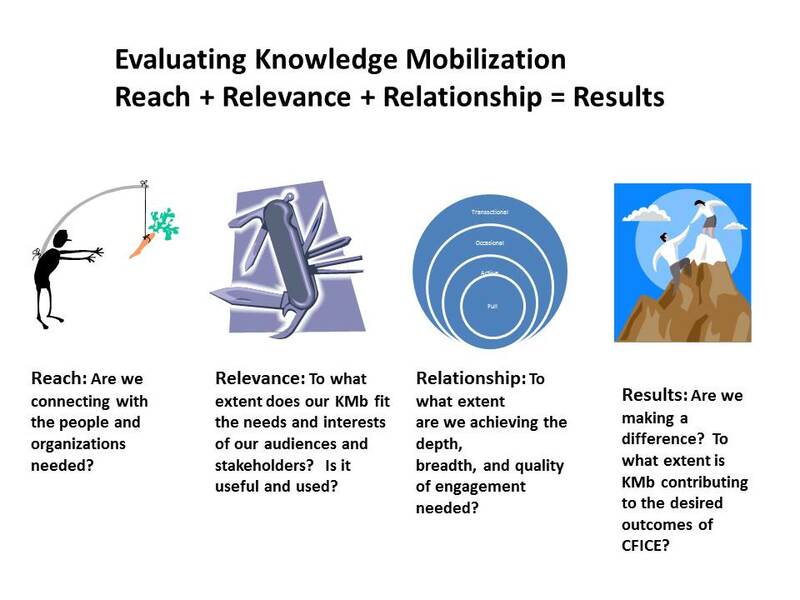 What is Knowledge Mobilization (KMb)? Why should I care? Almost every research funding grant asks for a knowledge mobilization strategy. In general, researchers want to do research that has value and impact. KMb, in essence, consists of all the activities and outputs that builds awareness, and enables use of the research. KMb is an emerging field of work which leaves for room multiple definitions and perspectives and is multi-faceted with varied roots and assorted branches. (Roots and branches). This means you have the opportunity to think through and define what it means based on your hub’s needs and interests. Why do research funders such as the Tri Council (SSHRC, CIHR, and NSERC) as well as many foundations expect researchers to develop a knowledge mobilization strategy as part of a research grant proposal? The bottom line for funders is that they want the money they put towards research to have results. A knowledge mobilization strategy demonstrates the linkages between the research results and addressing real world issues and how the research would be put into use. 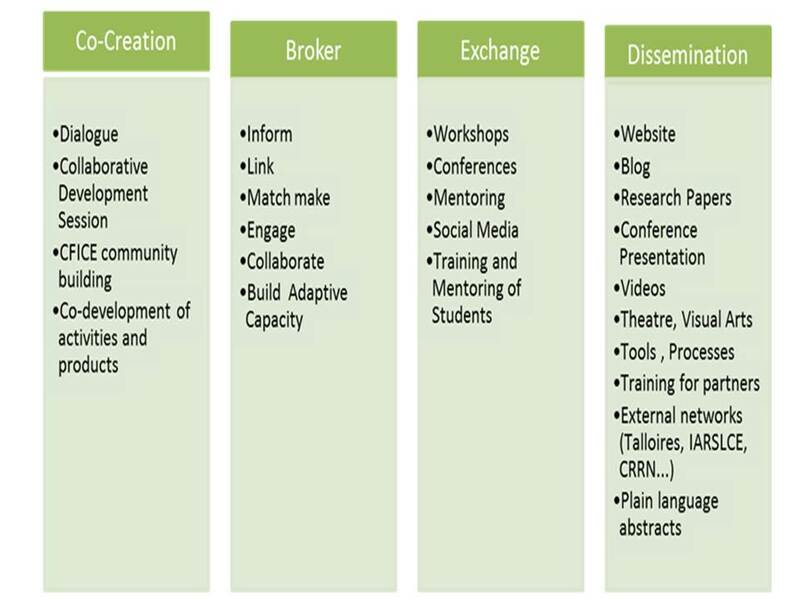 SSHRC categorizes KMb into four domains: Co-creation, Broker, Exchange and Dissemination. Below are examples of activities under each of the domains. Knowledge mobilization and participatory action research share space. e. Engagement activities inherent in participatory action research are simultaneously aspects of knowledge mobilization. For example, a meeting bringing together stakeholders to identify the needs is a part of designing a research project, and simultaneously part of a KMb Strategy. Please see attached diagram that shows the connections between KMb and the phases of research. KMb is a means rather than an end. The goal is not to only distribute the knowledge, but to share it in such a way that it is easily accessible, useful and used. Understanding the world of the potential user enables creation of KMb products and activities that makes adoption and application more likely. Start with a focus on the potential user and their use of the information. Do a thorough analysis of their context, interests, needs, and their trusted sources. Knowledge does not get used up when shared. A dizzying array of techniques exist. One piece of research can be shared in through multiple means. Multiple means and ways of sharing enables meeting the of multiple audiences. g. Knowledge may be shared via a journal article, a policy brief, an infographic, a play, a sculpture, a news release, a presentation, and be distributed via tweets, facebook posts, blogs, webinars, online conversations, face to face meetings and so forth. Effective knowledge mobilization means understanding the audience(s) their information gather habits, the use to which they would put the knowledge, and your goal in sharing the knowledge. What is the knowledge the research will generate? Who are the audiences and stakeholders? e. Who’s the knowledge for and with? Who cares about this issue? Who should care? Who will use the knowledge? How will they use it? How and to what extent do they want to participate in the design and delivery of the research? What difference can the research make? To whom? Who has the power to implement change? What is the most effective way to connect with each audience? What KMb activities make sense for each phase of my research? What do I want to accomplish through the research? To what extent will I include participatory action research thereby integrating knowledge mobilization from the beginning of my research project? Reach, Relevance, and Relationships combine to create the conditions to achieve results. KMb consists of four main aspects- Reach, relevance, and relationship make up the key elements of achieving results. Although effective reach, relevance, and relationship do not guarantee uptake and use of the research findings together they increase the likelihood of it being useful, useable, and used . Reach speaks to the breadth of connections as reflected in the question ‘’Are we connecting with the people who care or should care about this issue? Are we connecting with those who can make changes? Relevance speaks to the question, ‘’To what extent do our KMb activities and products reflect the needs and interests of our audiences and stakeholders?’’ It also reflects the importance of the research to them. 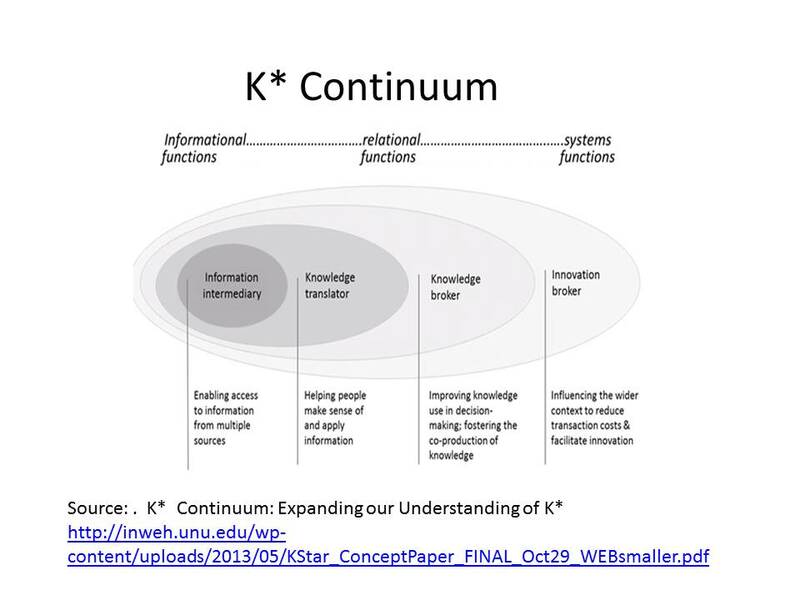 Relationship speaks to the question, ‘’Are we connecting with the depth and breadth of audiences and stakeholders to the level of appropriate level of engagement?’’ Relationships, key to knowledge mobilization, come in many forms and levels. While fully engaged partners are critical to the success of the research mobilization it is vital to pay attention to the needs and interests of the more peripheral participants. Sharing with your core engaged partners while vital will not be enough to move your knowledge into action. Interested occasionally active participants: Participate when the topic is of special interest, when they have some specific to contribute, or when they are involved in a project. This may also include policy makers and other decision makers who have an interest in the outcomes of the research, but do not actively participate in the research. Observer participants:people who have a sustained connection and interest in the research, but with less engagement and authority, either because they are still newcomers, because they do not have as much personal commitment, or need to keep in touch but cannot participate fully. These people may be active elsewhere and carry the learning to these places. Transactional participants: outsiders who interact with the research project occasionally without being members themselves, to receive or provide a service or to gain access to artifacts produced by the community, such as its publications, its website, or its tools. Results from your mobilization efforts can be difficult to ascertain and measure. On one hand the outcomes from your mobilization efforts need to mirror the intended outcomes of your research which tend to require significant time to pass. On the other hand, you can measure interim outcomes that can lead to the achievement of longer term goals. For example, increased attention to the issue by decision makers that your research contributed to can be considered an interim result. Longer term outcomes would be the implementation of the policy or practice change. Have questions? Comments? Want to chat about your KMb options?